River regulation, whereby flows are controlled for use such as irrigation supply, have had detrimental effects on rivers throughout the world. Environmental water delivery, where water is released into a river aimed at restoring natural flows, is increasingly being used to improve river health. Fish populations are often used to track the success of environmental water delivery, however there is limited knowledge on how a river's flow regime is linked to the life-history of fish species. If we can better identify how fish respond to particular flow conditions, particularly the timing, volume and variability, it will increase our ability to effectively use environmental water to benefit fish and river health. The Murray-Darling Basin Authority (MDBA) funded ARI to examine links between flow regimes and the growth of long-lived native fish, given the link between fish growth (which indicates food availability) and river health. 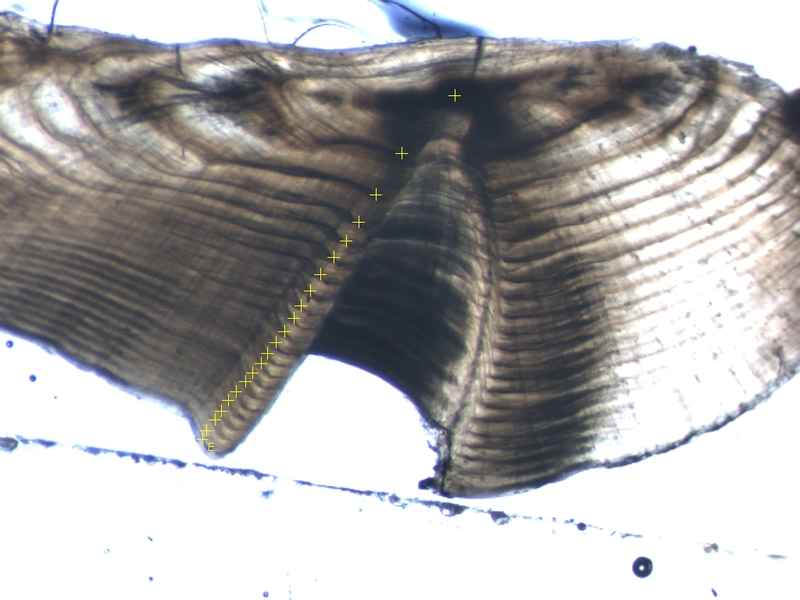 We calculated annual growth rates of several fish species, including the nationally endangered Trout Cod Maccullochella macquariensisover a 23 year period, by examining bands on otoliths (inner ear bone of fish). Data were from the highly regulated Murray River, and the unregulated Ovens River. Events affecting river flow that occurred during the study period included major drought, floods and environmental water delivery. Higher growth rates of Trout Cod in both rivers was related to increased water volume and flow variability, particularly in spring, summer and autumn. This same pattern occurred in Murray Cod Maccullochella peelii and Golden Perch Macquaria ambigua in the Murray River, indicating that fish in regulated rivers will respond to flow variables in a similar way to those in unregulated systems. Modelling of this data also predicts Trout Cod growth in the Murray River would be much higher under unregulated flows. 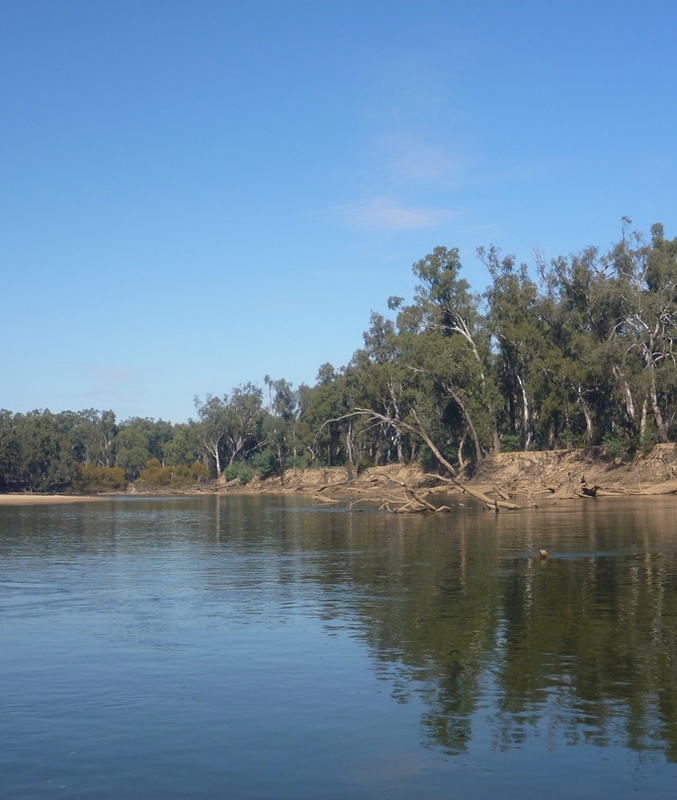 This supports the view that increased river regulation, which reduces important natural variations in flows, has been a major factor in the decline of native fish populations in the Murray-Darling Basin. In addition, high fish growth in the Murray River appeared to coincide with environmental water delivery. This provides support and guidance for the effective use of environmental water to enhance fish populations, which can be applied in similar systems.